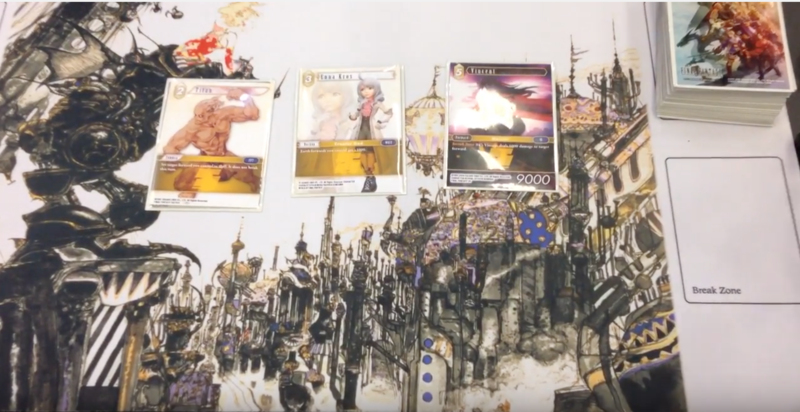 At Japan Expo 2016 Square Enix reconfirmed to us that the Final Fantasy Trading Card game will be released in Mid-October 2016, following the pre-sales at the end of September. The trading card game will be released in major European countries with English, German, French and Spanish supported at launch. An Italian version of the game will be added a bit later. Thee different starter sets will be available at launch: One edition for Final Fantasy VII, one for Final Fantasy X and and a third one for Final Fantasy XIII. Each starter set is based on two different elements: FFVII has earth and fire, FFX has water and wind while FFXIII has thunder and ice. A release in other territories like North America or Australia hasn’t been announced yet, but might follow. Posted in Final Fantasy Trading Card Game, Japan Expo 2016. Man this needs to come to the states NOW… I love these types of games, and I love FF. So this is perfect. HURRY UP SE! I would agree, but look at Hearthstone. Based completely on Warcraft subject. Those who play the game enjoy it for being a good card game, and there are plenty who enjoy WoW, and card games. Same can be said with FF. FFXIV is still in the top charts of MMO’s right now, and if the game is good enough, it’ll attract attention regardless of the content. The second time you mentioned FFXIII, you wrote FFXII. I rather pass on this. That’s also a digital game, I think digital TCG’s are actually generally more popular nowadays than traditional ones. Just for ease of use, competition, collection and storing of cards. Partially why Gwent from Witcher is getting it’s own standalone video game now as well. No one is dim enough to actually follow your link, duh.